I am proud to be the next stop on the blog tour for the Modern Quilt Guild's new book: Modern Quilts, Designs of the New Century. Congratulations to Riane, Heather and Alissa for putting together an amazing retrospective of modern quilting. I got my shipping notice yesterday and I can't wait to have this book in my hands. I've seen sneak peeks and it's beautiful. It's the quilting coffee table book that I have always wanted. With gorgeous photos of more than 200 quilts curated by the Modern Quilt Guild, the book honors the modern quilting genre's past, present and future. I am proud to have two quilts in the book, but I am overjoyed at the number of quilters represented and the variety of quilts showcased in the book. I think you will be too. Modern Quilts: Designs of the New Century is more than a book for me. As many of you know I have been involved with the Modern Quilt Guild since the beginning and have worked with many of you to build and grow the organization. This book is a tangible reminder of the challenges, the hard work and the accomplishments of the leadership and members of the Modern Quilt Guild. Look what we did together! I am overjoyed that this book is now a reality. The lesson for me, dream big! Building Bridges and Bang You're Dead are my quilts that are featured in the book. They're two of my favorite pieces. I hope you will get your copy of the book to see all the pieces in the book and support all the artists that are part of this project. Visit their sites and see the new work that they are making. The tour continues through the new year. Check out the posts from all these designers to read their thoughts, see their work and then get a copy for yourself. 100% of the royalties earned from the book go to the Modern Quilt Guild, a 501(c)3 non-profit organization. Enjoy and have a wonderful 2018! 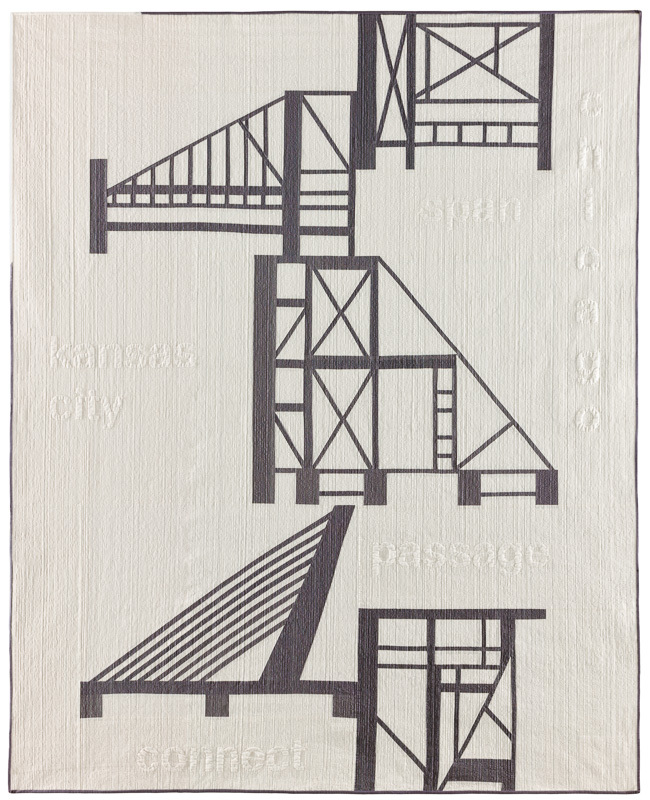 Jacquie, more pretty modern quilts. Amazing. The book is a definite must-have. I can't wait for my copy to arrive so I can see your quilts and all the others! So looking forward to receiving my copy here in Melbourne...hurry up postie!